1. Designed with 3 shelves, partitions. 2. Shinny finished, attractive shape. 4. Light weight and easy to set up for user. The floor standing cardboard displays can be designed with multi-tiers to contain plenty of produts. It is a great solution to storage goods and showcase in an attractive image. 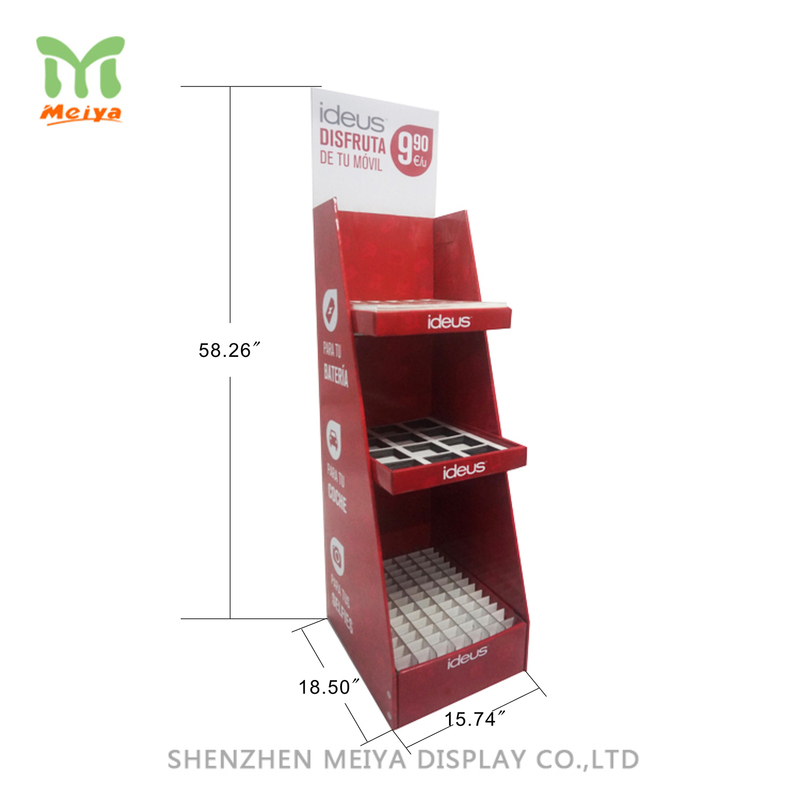 Such kind of displays are made of corrugated cardboard, that easy to transfer or move for users. It is also suitable for customers to get more information about the products that printed at the removable header.